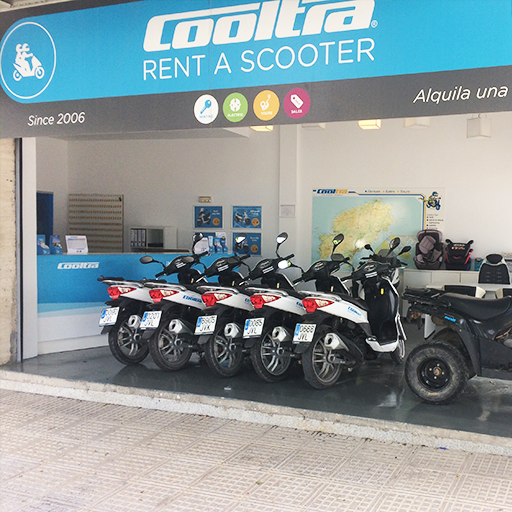 Visit the island of Ibiza on two wheels with the coolest scooter rental at unbeatable prices and discover incredible places! 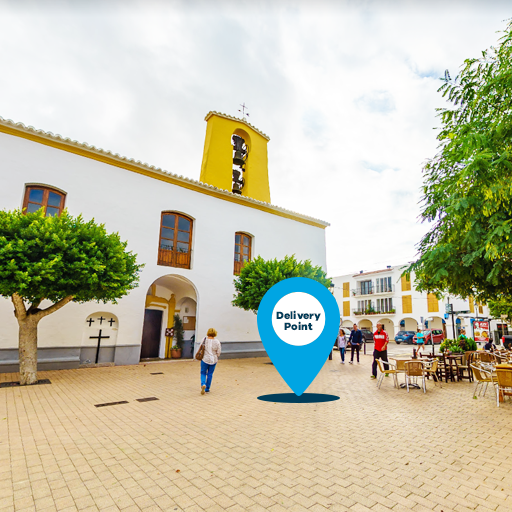 Ibiza is a fascinating town both during the day and the night. It is a colorful, hip and stylish town in which eccentricity is a common occasion. We recommend you to visit the most famous coves of Ibiza such as Cala Conta, known as one of the best beaches in the world, located to the west of the island and Cala d’Hort, where you can enjoy the impressive silhouettes of the islets of Es Vedrá and Es Vedranell. 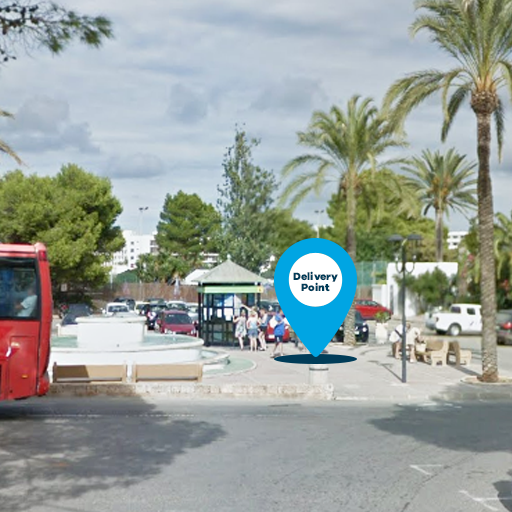 The magic island of Ibiza also offers a wide range of activities, from the hippie markets of Las Dalias or Es Canar to the famous nightclubs such as Pacha, Space, Amnesia or Ushuaïa, visited by world-famous celebrities and DJs. 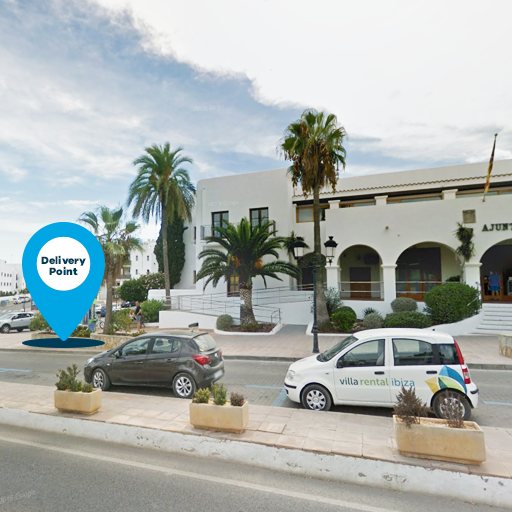 In addition, you can visit the marvelous Formentera island, the pearl of the Mediterranean, also known as the Spanish Caribbean. 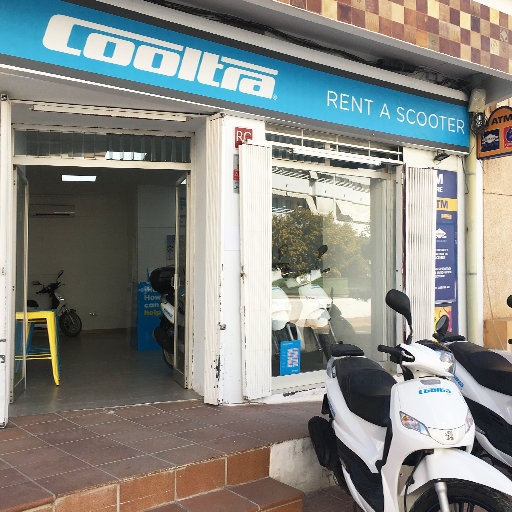 With Cooltra you can enjoy all the benefits of our special offer of ferry tickets to Formentera + scooter rental for a day. 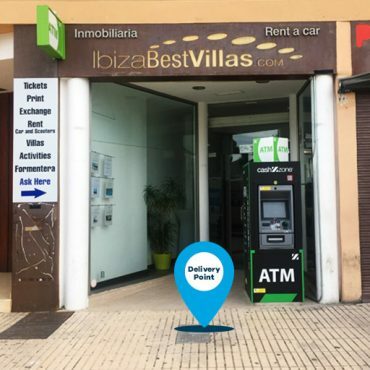 Definitely, the best option to move around Ibiza is to rent a scooter and travel around its white sand beaches and crystal clear waters in an easy, comfortable and fun way. 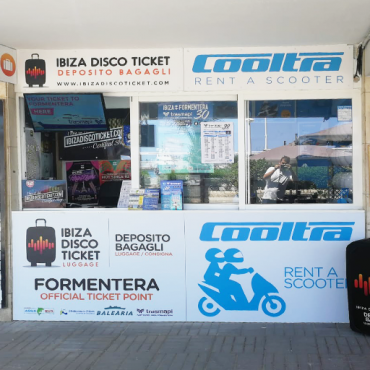 Moreover, our Cooltra team is always ready to give you tips and recommendations for having the best time at the magnificent island. 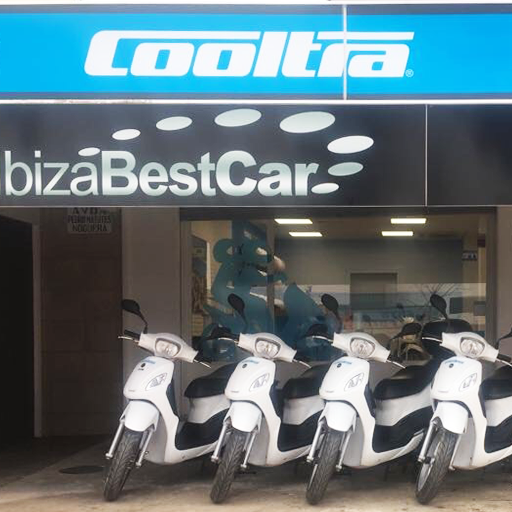 Discovering Ibiza by scooter is very simple, with Cooltra you can make your reservation online, with free cancellation and at the best price guaranteed. 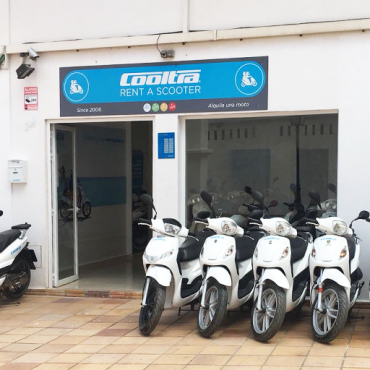 In addition, we have some extras available (top case, an extra helmet, excess reduction of 0€ franchise, scooter delivery or pick up services, etc.) to make it perfectly fit your needs and make your trip much safer, funnier and easier. 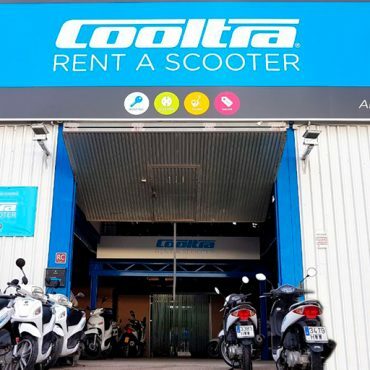 Simply choose the store, the dates, select the scooter type, the extras you want and it will be yours. Do you have any questions? Call us (+34) 937066912 or email us via info@cooltra.com and we will answer them. We have a gift for you. 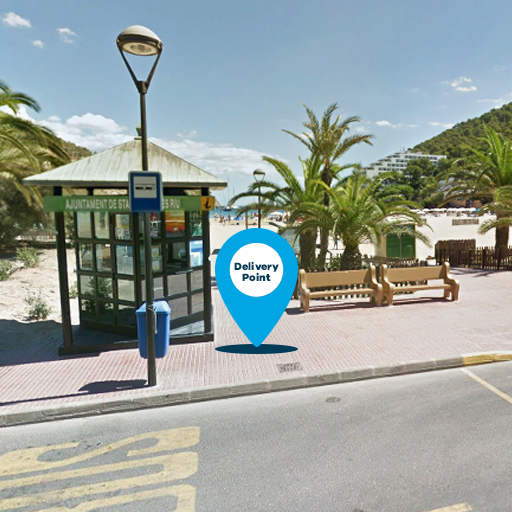 Get your ultimate Ibiza Island Map.